We live in amazing times makeup-wise, and the advancements in foundation formulas means that there’s really no excuse anymore for cakey-looking skin. 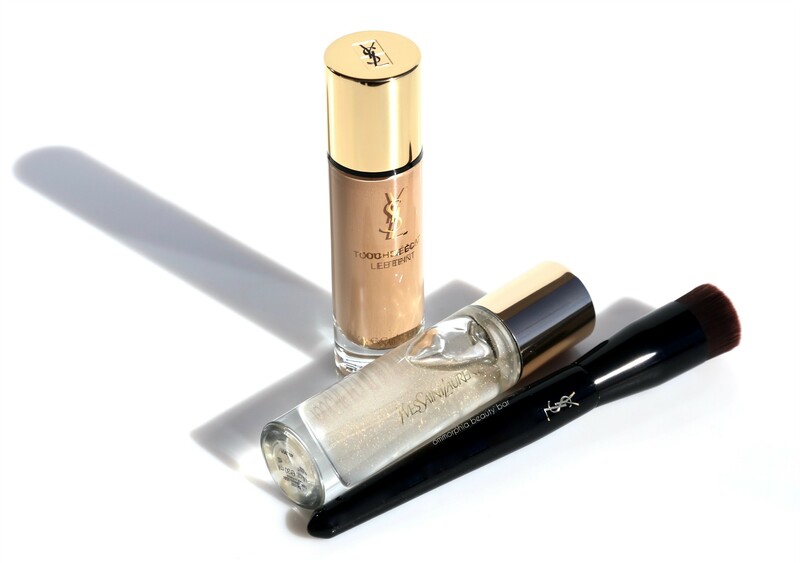 Of course, knowing your skin type and what works best for you is key and that’s why these newest items from YSL Beauty that I have been experimenting with lately have all quickly become fave pieces. What I absolutely love about all three of the items featured today, is how beautifully they work together to create that perfect canvas – and as artists of all genres the world over know, it’s all in the prep work. 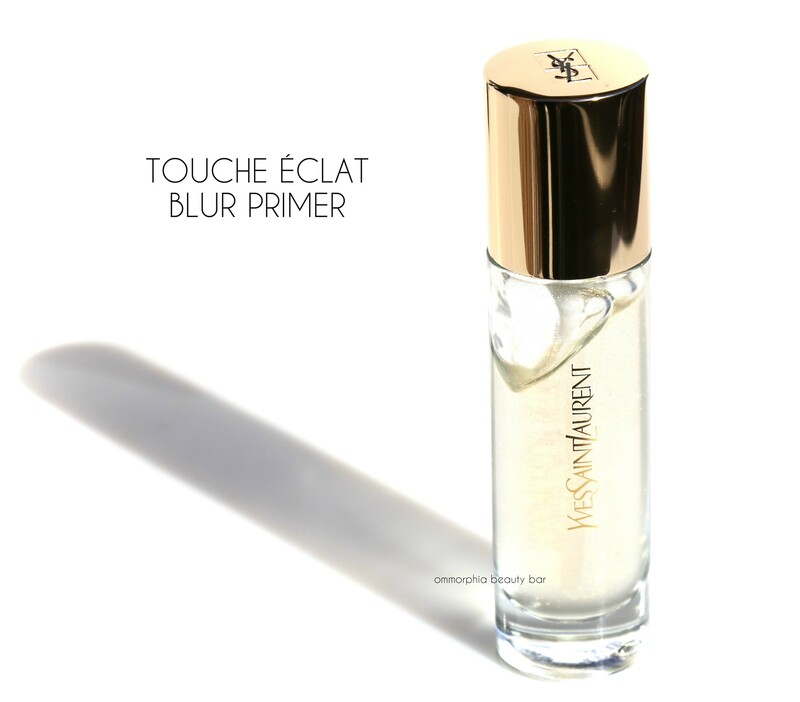 Touche Éclat Blur Primer (CAN $55.00) | By now, most of us already use some type of face primer: whether it’s to minimize the look of pores, smooth over imperfections in the skin, fill in fine lines, or correct skin tone – there’s a product out there for each of us. 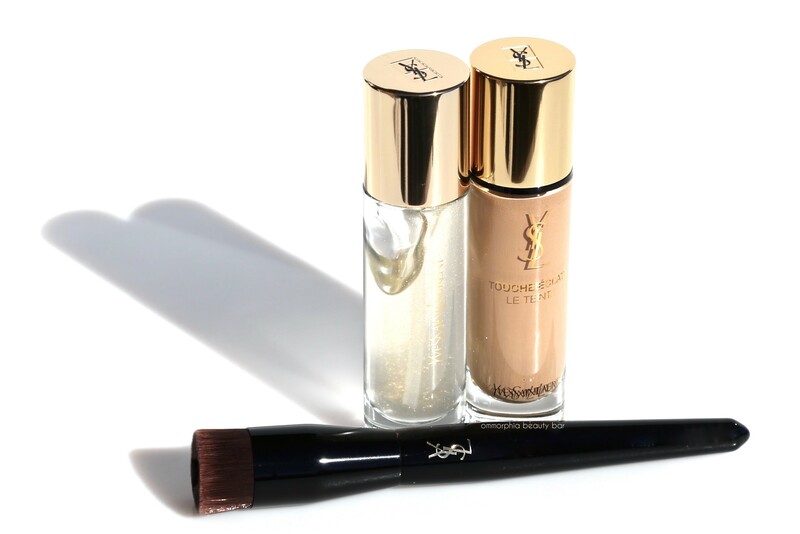 Based on the same light-reflecting technology as that of YSL’s cult-fave Touche Éclat pen (I believe there’s one sold every 7 seconds world-wide), the Touche Éclat Blur Primer is made with four nourishing oils for their skincare benefits and subtle golden flakes to provide a soft radiance to the skin. There are silicones in the formula and the product is also scented, and while neither is an issue for me, it’s still worth noting for those with sensitivities. 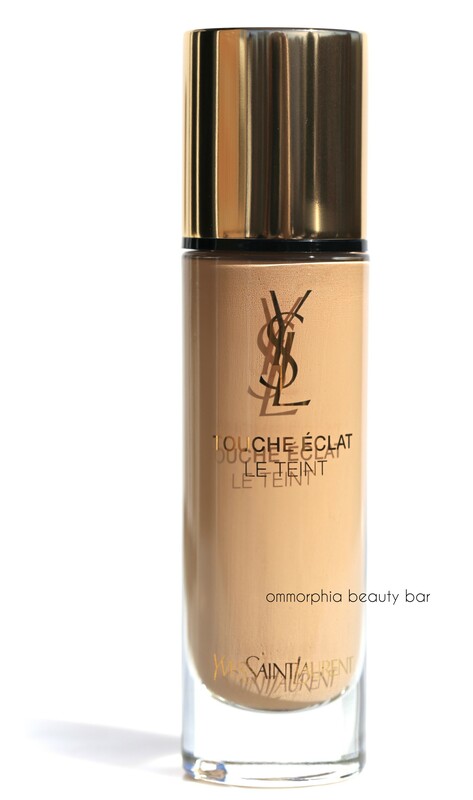 You can wear this product alone (over moisturizer) to even out the skin tone (although it won’t cover up blemishes or anything like that) and I do notice a slight soft-focus effect, but I prefer wearing it under the Touche Éclat Le Teint foundation, as it seems to work as an excellent anchoring base, helping to keep any product from settling into pores and/or fine lines, while the gold flakes add a hint of hint of light – but nothing obvious per se, more along the lines of the “I can’t put my finger on it, but my skin really looks good” variety. 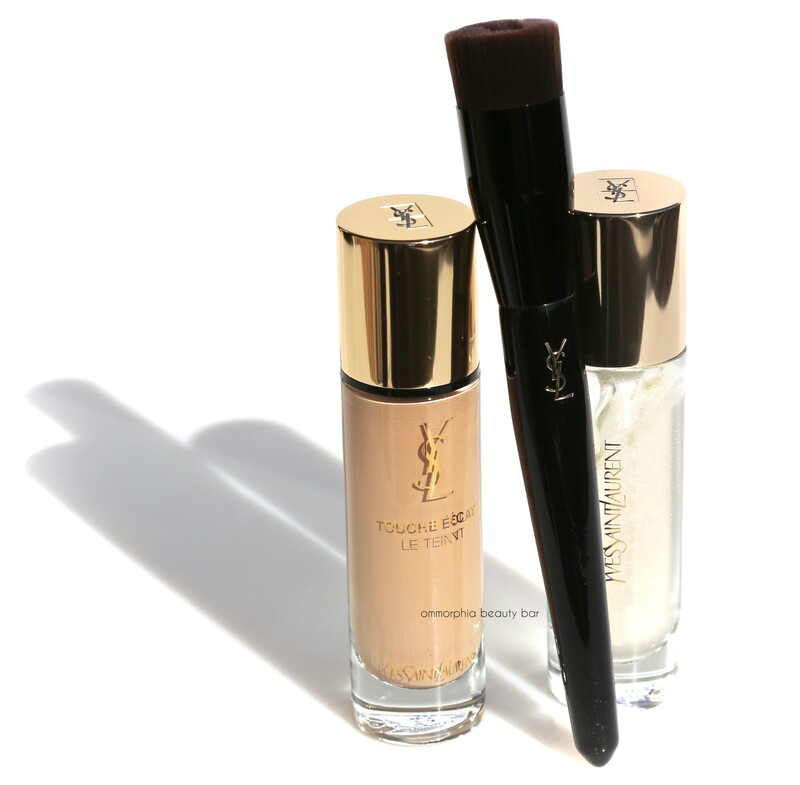 Y-Brush Foundation Brush (CAN $54.00) | YSL is not necessarily a brand that pushes their makeup brushes all that much, but every single one I own is simply amazing to use and so well crafted as well. Far from being gimmicky (which was my initial thought upon looking at this brush), it turns out that the science behind the creation of this Y-Brush is not only valid, but bordering on genius. A flat-topped brush with densely packed synthetic bristles, the “Y” cut into the head acts as a reservoir to hold the product which you can then apply along your skin. By filling in the “Y”, the general thinking is that it should be enough to cover your entire face – and it is, although you can always go back in with more product where needed. 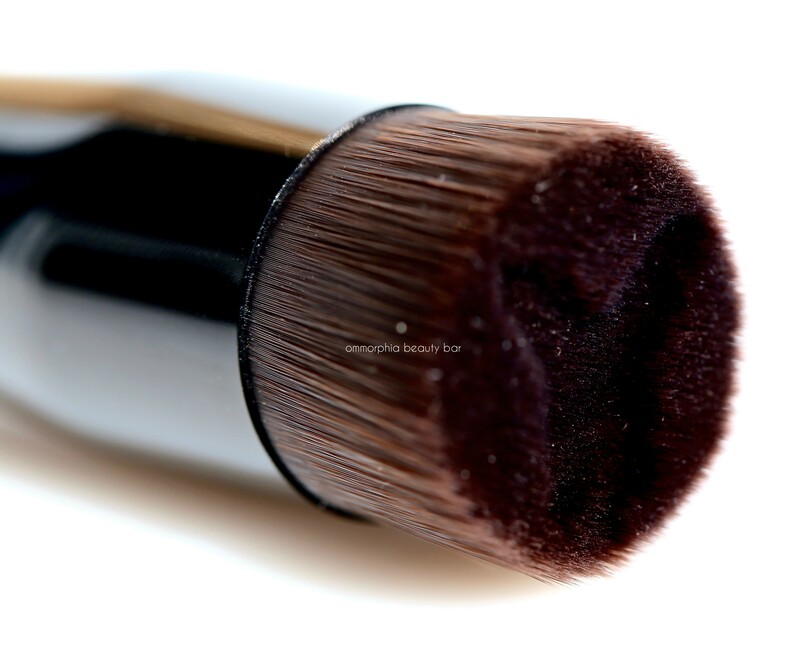 The way the bristles are cut makes this one of the best brushes in the genre for applying liquid foundation, as it not only applies the product without leaving streaks behind, but buffs everything in so thoroughly as to give skin an air-brushed looking finish. 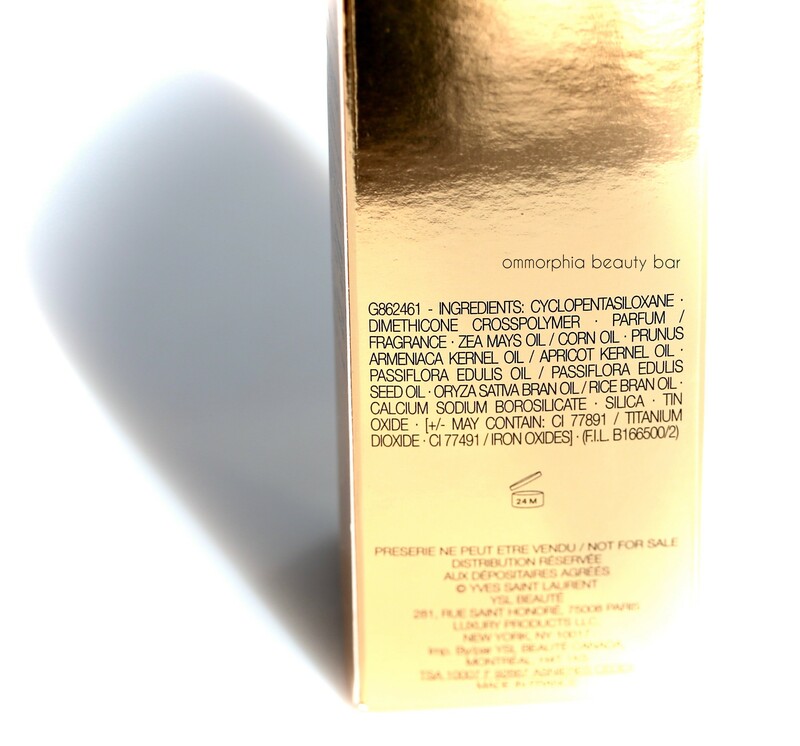 Touche Éclat Le Teint in B50 Honey (CAN $64.00) | Newly reformulated, this version has Ruscus Extract to help ‘stimulate micro-circulation and target dullness, while Vitamin E protects against free radicals‘. The formula feels incredibly silky and lightweight, promising to provide a solid 8 hours of ‘radiant finish‘. Available in 19 hues to cover those with very fair all the way up to the darkest complexions, there’s definitely a shade here for everyone. The formula needs to be thoroughly shaken before being dispensed and comes out slightly watery; not exactly runny, but not as thick as a lotion either. 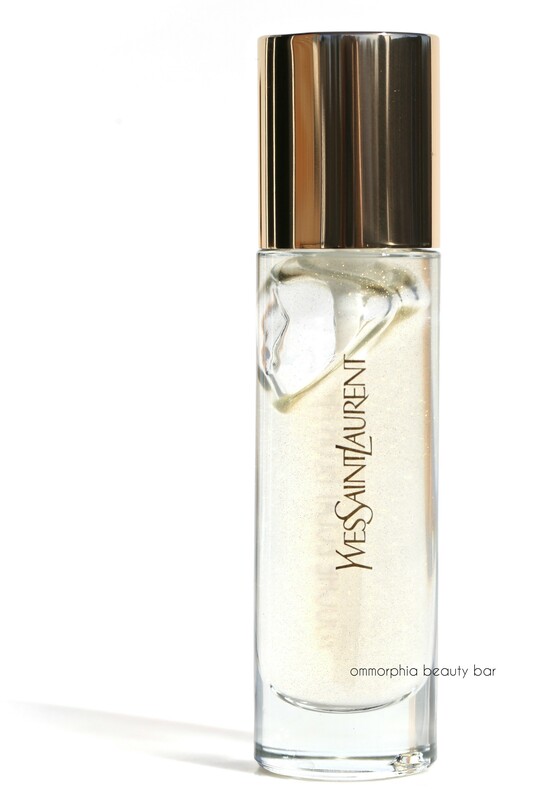 Bearing the same YSL fragrance as several other products, it is quite evident upon application, but within minutes I don’t notice anything anymore. This is an incredibly light-weight feeling foundation which spreads easily along the skin, and can be applied with either fingers, a beauty sponge, or better still, the Y-Brush that not only efficiently reaches every nook & cranny, but buffs everything into the skin for a seamless finish. Staying power is quite good (easily 8+ hours, in particular when worn over primer), without any signs of oxidation, seeming to get even better as it fuses with the warmth of the skin. While not a high coverage foundation, you can build it up slightly if desired. 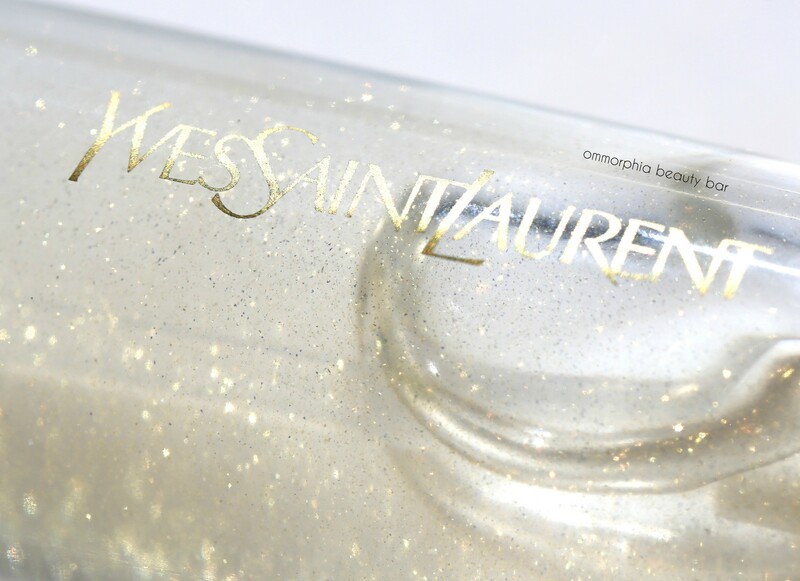 YSL is not one of those brands that pumps new products out at the speed of light; every single item goes through a long-drawn out process of testing before it ever hits the market, as the brand wants to ensure it is completely perfected in every way. With that in mind, it’s no wonder that all three items shown today get such a huge thumbs up from me: they all work, and beautifully at that. 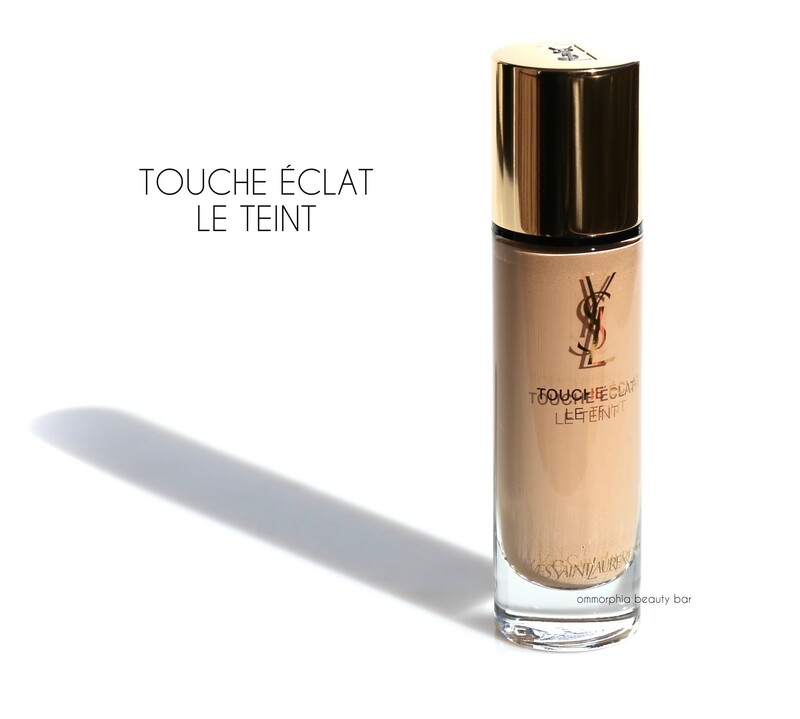 The original Touche Éclat foundation was a long-time favourite and one I usually turned to for special events (where I wanted my skin to look as flawless as possible, without feeling like I was wearing a mask) and so I’m exceptionally pleased to see that this new version not only builds on that, but has made it even better. 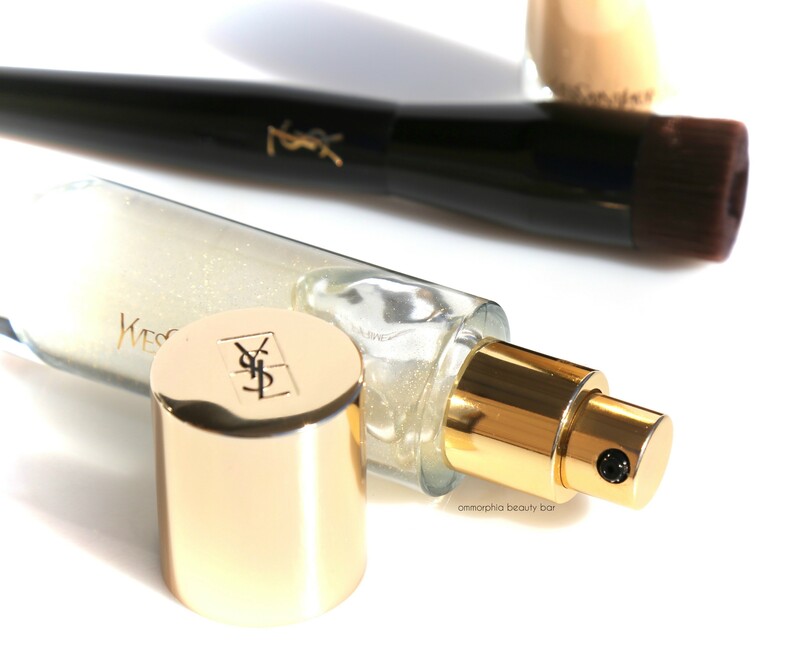 Coupled with the primer and brush, they can definitely be considered the YSL trifecta and so well worth investing in. It sounds lovely, the brush looks really interesting and you’re right I haven’t heard much about their makeup brushes at all. And yet, this brand really does make some awesome brushes – totally worth checking out and investing in!